So much of what’s out there these days lack a personal connection. Many people are simply afraid to really be themselves. I thought I’d have a little fun with this update and share another side of me and the work I do in order to prove I’m not a robot that stays locked away working all day. I was part of the generation that was mesmerized by the space race to the moon. When I was 12, my brother and I built from scratch, a replica of a Gemini spacecraft that we actually spent time in during a simulated mission in my garage in South Florida, in the summer, without air conditioning. What were we thinking? I should not be alive! I am an Eagle Scout and while hiking at the Philmont Scout Ranch I slipped and fell off a cliff 40 feet into a creek. An inch in either direction and I would have probably been killed. Miraculously, I landed around a big boulder in 4 inches of water. I refused to quit and hiked for four more days with a torn meniscus in my right knee. My first degree from the University of Florida was a BS in Mechanical Engineering. I was part of the winning Energy Efficient Vehicle Competition team. We built a car that won nationally and came in second internationally, and got over 48 mpg in 1977! Go Gators! I am pretty proud of the nose of the car which I designed and fabricated. I am a retired Naval Aviator. I had my first Navy flight in a North American T-28 in July 1980. The aircraft I had that flight in is now at the War Eagles Museum in New Mexico. 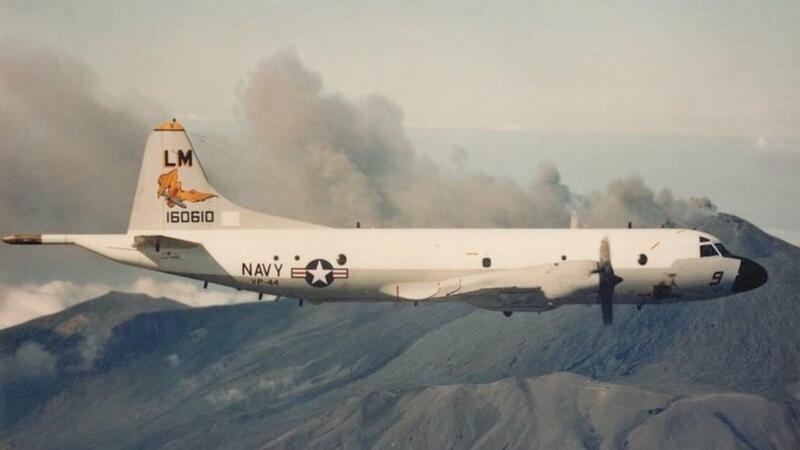 I flew the P3C Orion aircraft and hunted Soviet submarines during the Cold War. I deployed to Lajes Azores, Rota Spain, Sigonella Sicily, and Bermuda (over 18 months during my first three years). I am flying the P3C taking the picture of the P3 flying by the active volcano, Mount Etna in Sicily. The picture above for this post was taken around July/August 1983. I never wanted to fly for the airlines so I got out of the Navy for a while and became a stockbroker for E.F. Hutton. I really did not enjoy the securities industry and decided to go back to military flying. Call it serendipity, but as I drove north from Florida to Norfolk Virginia to report back for duty in the Navy on that Monday 1987, the stock market crashed (aka Black Monday). In the late eighties when I was assigned on the USS Independence after seeing the potential of the PC, computers, and coming growth information technology in the late 90s, I decided to go back to school and get my master’s degree in computer science at the University of Florida. I am an Executive Director with the John Maxwell Team and have had the privilege to partner with and be mentored by John C. Maxwell. In June 2013, I went to Guatemala along with 150 other coaches where we helped kick-off the transformation of the country. This is a picture of John and my interpreter after my first training session. This was a life changing experience for me. I moved to Houston in 2007 to join BP. When the tragic Deepwater Horizon incident happened in 2010, later that year I was the guy BP selected to create the information and data management strategy after the oil spill. I had an amazing team that created great answers to some of the world’s biggest data management problems. I love to cook. One year when it was my birthday, my wife asked me what I wanted for my birthday and I said: “I would like to buy some lobster and make an amazing dinner.” She said, “But it’s your birthday.” and I replied “Exactly”. This was our Thanksgiving turkey several years ago my sons and I made.